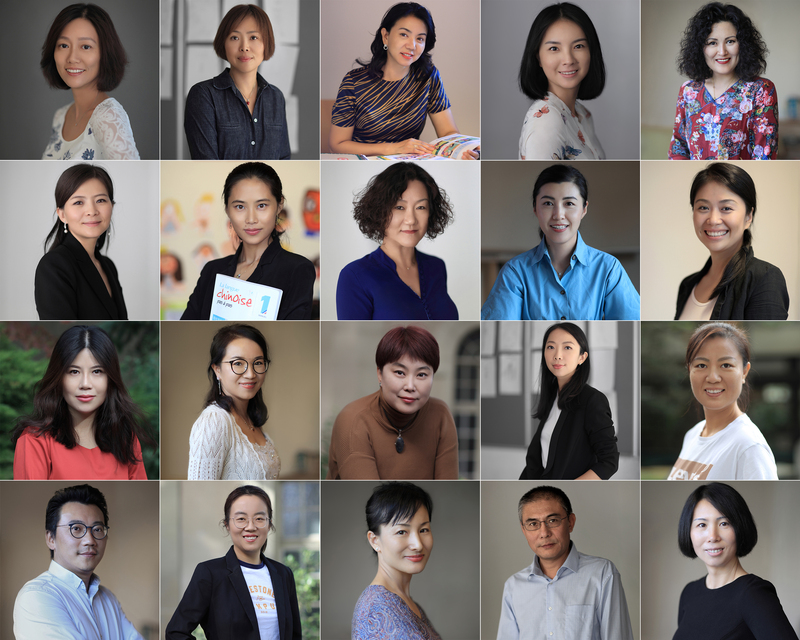 Vice director and professor Vice director of Chinese Institute Geneva Foundation, Shanghai Foreign Language University, bachelor of French literature, China East Normal University foreign language teacher training certificate. Doctor of Laws (Ph.D.) from University of Hamburg, Germany. Certificate for overseas Chinese teacher from Committee of Overseas Chinese Education (Overseas Chinese Affairs Office of the State Council of China). Certificate for teachers of Chinese as a foreign language from Confucius Institute Headquarters (Hanban). Certificate for overseas Chinese teacher on-line training from Chinese Language and Culture Education Foundation of China. Bachelor's degree of foreign accounting, Central University of Finance and Economics, China. Holder of Teachers of Chinese as a Foreign Language Training Program Certificate. Master of Arts in Spanish Culture & Language Studies, Fu Jen Catholic University. Holder of “The Education Training Program for Oversea Chinese Teachers.” certificate from Guangzhou Jinan University. Holder of “Teaching Chinese as Second Language: Advanced Level.” certificate from National Taiwan Normal University. Major in English from Beijing Chaoyang Normal School. 5 years teaching experience. “Certificate for overseas Chinese teacher from Committee of Overseas Chinese Education (Overseas Chinese Affairs Office of the State Council of China)”, “Beijing qualification certificate for teachers”, “Certificate for standard Mandarin”, DELF French language proficiency certificate. Bachelor of Arts in Music from Nanjing Normal University, China. Advanced qualification certificate for high school teachers. Certificate for standard Mandarin. Master degree on “Sustainable Development of Tourism and Environment” from Grenoble Alpes University France. Experience on teaching Chinese for French and English speakers. Master's degree in Pedagogy from the Sichuan International Studies University. Master's degree in Sciences of Education from the University of Geneva. Certificate of Teacher of Chinese as a Foreign Language of Beijing University of Languages and Cultures. In April 2019, in the sunny early spring, Mr. Gu Tiangang, Director of the Beijing International Education Exchange (BIEE) Center, visited us in Switzerland.